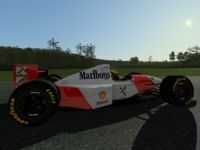 Alongside the 1993 Mclaren Ford there is also the 1994 Marlboro Mclaren Peugeot MP4/9 piloted by Mika Hakkinen and Martin Brundle. 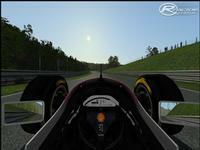 Both drivers are featured in the v0.1 Open Beta. 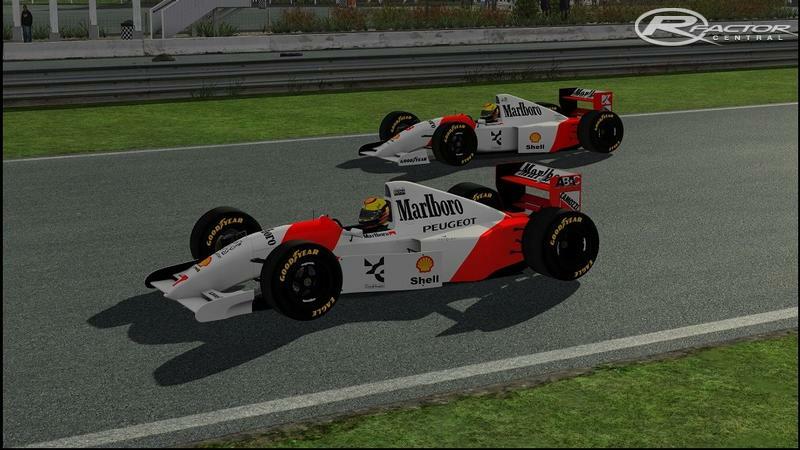 The 1994 Mclaren was powered by the Peugeot A6 3.5 litre V10 engine that scored six podiums for Mika Hakkinen with a best finish of second place at Belgium and two podiums for Martin Brundle with a second at Monaco. The Peugeot engine however was very unreliable in 1994 and brought a lot of retirements for the drivers. The mod includes both dry compound (super soft, soft) and a wet compound tire as used in the two seasons. 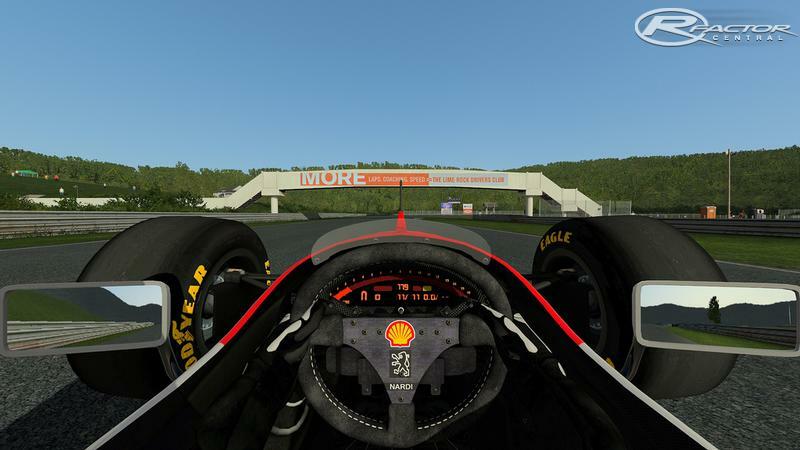 Chassis Flex has been implemented into the physics as well. Currently as it stands the Driver body and helmet are temporary as our universal driver body and our own scratch built helmets are being finalized. Those will be updated in future build updates. 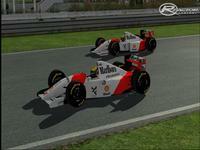 The 1993 and 1994 Mclaren's were originally modeled by Raymond Schram and updated by Dmitriy Barishev for inclusion into rF2. Textures were done by Derek Nye and Juandi Sanchez with Lukasz Kacprzykowski helping UV Map the vehicles. 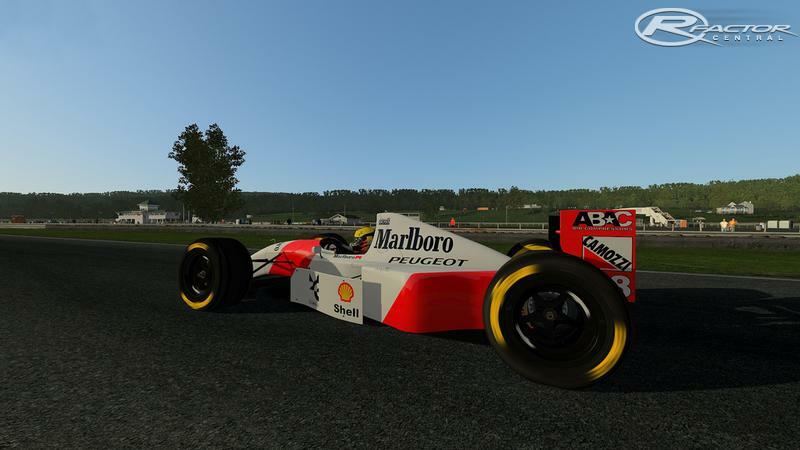 Sounds were done by Giovanni Scala who has returned to help the group with vehicle sounds for our mods, thanks mate! The In-game was done by Stephen Young who worked right through till today to get it ready before Christmas for all of you to enjoy. There are currently no setups for F1 Classics (rFactor2). Add a Setup. 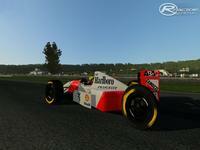 There are currently no car skins available for F1 Classics (rFactor2). If you are a painter you can share skins for this mod via the Car Skins area. Visit the Spray Booth for painting tips & tricks. I really like to drive this ford . My Ford Falcon has nice feature, good interiors ,nice looks, cylinder.